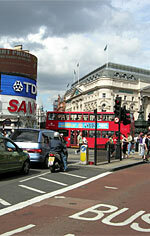 Piccadilly Circus i London - London's answer to New York´s Times Square.. 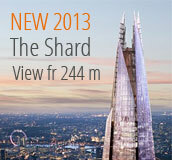 Address: Intersection of Regent Street, Piccadilly, Shaftesbury Avenue and Coventry Street. At one time the entire area was covered with neon advertisements and Piccadilly Circus is the equivalent of Times Square in New York ... but here you see a little less neon. On the square you will also find the famous fountain Shaftesbury memorial. 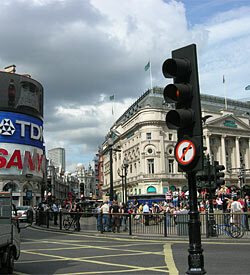 You will certainly pass Piccadilly Circus when you walk around the center of London. 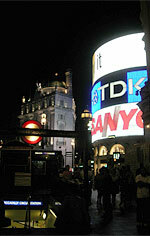 If you have time - visit Piccadilly Circus also in the evening. Neon signs blink and you can walk around and feel the atmosphere. 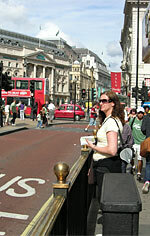 During the 1660 the area around the Piccadilly developed into a fashionable residential area. Some of the most greatest country houses at that time was on the north side of Piccadilly - Clarendon House, Berkeley House and Sir John Denham's House. After the 1920 many famous buildings were replaced with shops. Piccadilly Square is designed by John Nash 1820. You can also find many famous hotels in the area such as the Ritz Hotel for example. Up until the 1600s the area was called "Portugal" - after Portugal Street. The name Piccadilly comes from a tailor named Robert Baker. He owned a store in the area during the mid 16oo's and until well into the 1700's. He got a big fortune by selling special collars that were in fashion at that time - these collars were called "piccadills". 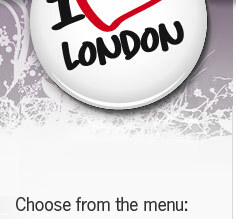 He bought a large area of land that stretched to west London. At one place, he built a large house called "Piccadilly Hall. 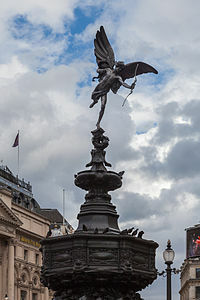 On the Piccadilly square you see the famous fountain "Shaftesbury Memorial Fountain" with the statue "Eros" on the top. The fountain came on site 1893. The very fountain design is made of bronze, but the statue is made of aluminum. The sculpture was first cast in gold but was later exchanged into the present.